Never settle, says OnePlus, but has the company ignored its own advice? If you're a pure geek, the OnePlus phones are likely to be very appealing. The idea is simple: cheap phones, loads of power, and an Android design that's quickly updated. The company recently announced a new invite-only version of the phone, which offers more high-end features for low-end prices. In this case it starts at £239 for the 16GB model. It comes with Qualcomm Snapdragon 810, 4GB of RAM, and a fingerprint scanner. As of now, approximately two million people have signed up to the "invite" list, and will eventually be offered the chance to buy the device. The reason OnePlus operates in this way is to keep margins thin. By only building enough devices to satisfy pre-orders, they don't have to pay upfront for huge numbers of phones. The bad news is there's no easy way to get a OnePlus in retail. And I've always found the invite system something of a joke. I mean, what's the difference to just producing small runs, which you sell - even in advance - via the official store? For me, it's about generating hype, which is a legitimate way to sell a product, but also frustrates me more than anything else. Nintendo does this a lot too, and I find it quite bothersome. But what puts me off buying a OnePlus Two is a lot more hard to pin down. For example, the specs are good - or at least the phone sounds like it has a lot of power. But I've come to realise something since using an iPhone: power doesn't make a phone good, and most high-end Android phones are the same basic device. The only thing separating one from the other is the services it offers. Right now, Apple has me enthused about two things. Apple Pay and Apple Music. But coming soon on Samsung, on the device I adore - the S6 Edge - will be Samsung Pay. This will give more options for mobile payment than Apple does, will work with more payment stations globally, and can even be used on machines that only read magnetic strips. The OnePlus phones don't have features, they have components and a mildly tweaked version of Android. The new phone also doesn't have NFC, which makes no sense given the reasonably low cost of that tech, and the potential it will offer with mobile payments. I'm also not sure what the OnePlus Two offers the real enthusiasts. After all, remember the fuss when Samsung dropped the removeable battery and microSD card from the S6? It's these people the OnePlus should appeal to, but the firm hasn't included a removeable SD card or battery in the Two. It has likewise omitted wireless charging, something which has been invaluable on the S6 because of that non-removeable battery. 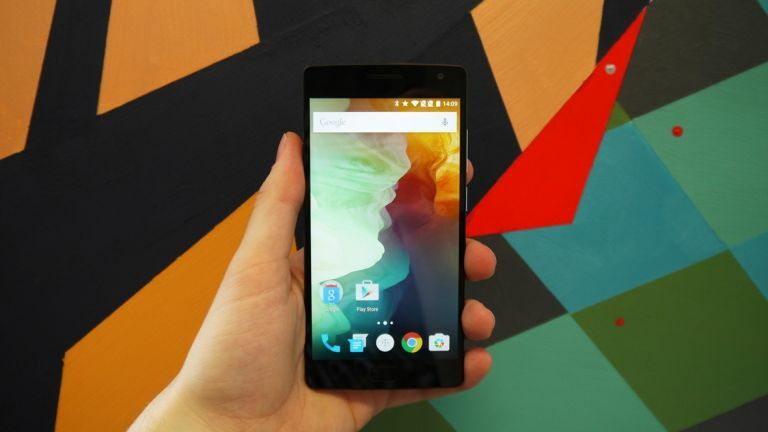 The OnePlus Two will probably end up selling well, and I'm thrilled that a small company can still win over customers. With that said, as a phone enthusiast, I don't think I'd ever spend money on a OnePlus. Perhaps I've been seduced by the trinkets and baubles of Apple and Samsung. Like this? Why not readThe HTC One M10: everything we think we know.